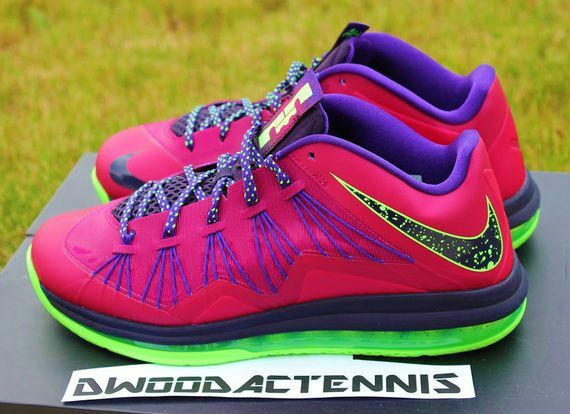 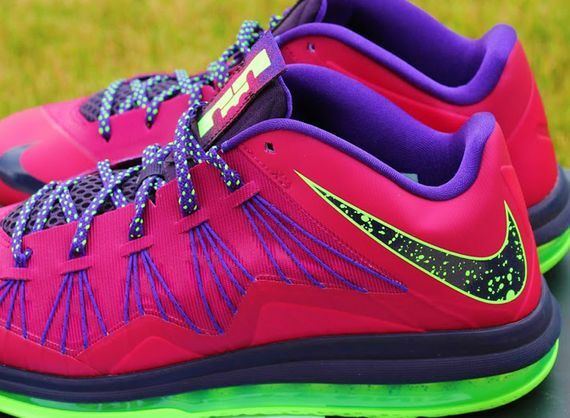 Nike Lebron 10 Low "Lebroncurial"
Lebron’s association with the Liverpool FC might’ve inspired a Mercurial Lebron Low colorway, displaying Red Plum and Electric Green colors just like the Kobe 8 that released earlier this month. 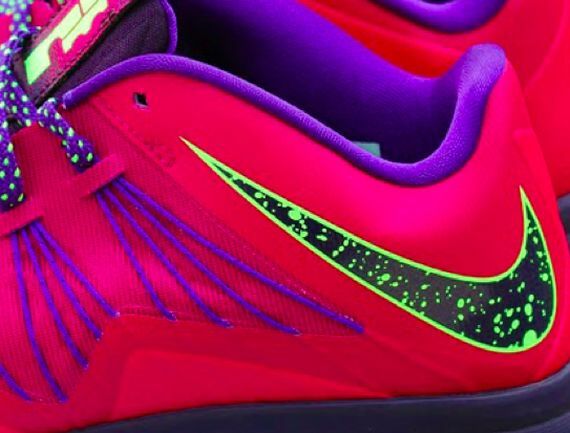 The Low features an Electric Green 360 sole and speckled swoosh, while the entire upper sports a Purple and Red plum theme identical to “Mambacurial” silhouette. 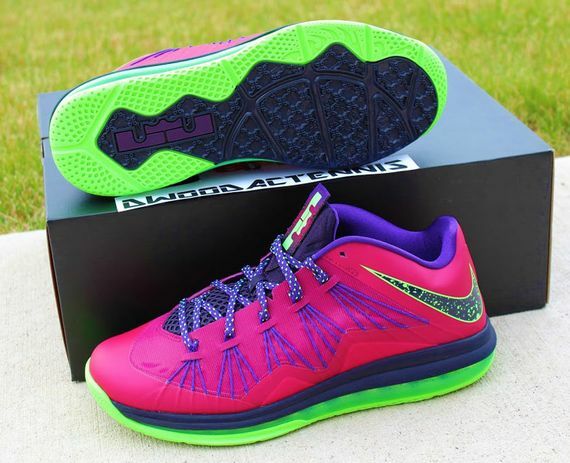 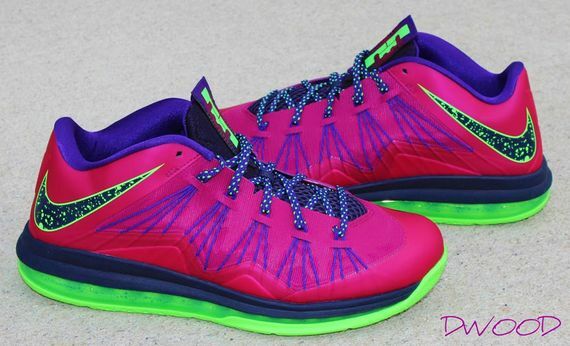 No word on when these will be releasing but stay tuned with Modern Notoriety for more news on this upcoming Bron’ Low.